In our latest ‘SPOTLIGHT ON’ series, we sat down with Alex Balnaves, Physiotherapist at our Langwarrin clinic. In our chat, Alex shared why community sport has played such an important role in his life. My interest started due to my involvement in local sports. I studied exercise science at university and became interested in injury management and rehabilitation. After having a couple of minor injuries through sport, I attended physiotherapy and the relaxed environment appealed to me. Community sport is a great opportunity to make friends and develop relationships with people in your local community. While studying physiotherapy, I lived in Bendigo and playing football in the area allowed me to become friends with people from different backgrounds, who I otherwise wouldn’t. It’s also a highly rewarding experience, as you put a lot of hours in to training and games. Injuries are an unfortunate aspect of all sports, due to the unpredictable nature of the environment. My personal view of injury management is that we as physiotherapist’s have a wealth of knowledge in injury diagnosis and management, and providing support, advice and reassurance to our clients is the most important aspect of care. I also emphasise the clients role in their rehabilitation, as the time spent in physiotherapy is short, and active engagement with the rehabilitation process often leads to better outcomes. My proudest sporting moment would have to be winning a premiership at Wedderburn Football Club in 2017. I’d never won a flag before, so it was great to get that one after not playing football for 4 years. I’ve actually been very fortunate with injuries during my time playing sport (touch wood), the worst injury I’ve ever had was a large cut in my forehead from a misplaced elbow. I’ve also had two AC joint injuries, which I had assessed and managed at Langwarrin Sports Medicine Centre. Being a Saints supporter it would have to be Nick Riewoldt. I think what I admire most about him is the endurance and mental fortitude he brought to every game. The ability to fly would be pretty good, it would make getting around a lot easier, and you’d never miss a Grand Final. 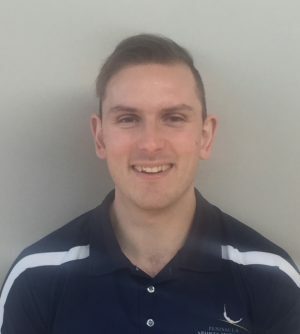 To make an appointment with Alex you can BOOK ONLINE or call Langwarrin Sports Medicine Centre on 9789 1233.